Yesterday, the Raptors decided to keep Ross in the fold and continue to roll the dice with the roster they have kept in the last 2 seasons. Ross inked a 3 year $33 mil, according to Adrian Wojnarowski of Yahoo Sports. Good deal with the new TV deal coming in after this season. In fact, Ross entered the league as a rookie back in 2012 and has improved every season. Ross had a successful 2014-2015 season by scoring just under 10 points per game, 2.8 rebounds per game, 1 assist per game, and .410 percentage shot from the field. He played in 82 games and started 61 games. Now, starting this year, Ross has played in 3 games with no starts and averaged 12.3 points per game, 1 assist again, 2.7 rebounds a game, and shooting .520 from the field. This is a good move because Ross is versatile at playing the 2 guard and from the wing. Ross plays defense decently to stay on the court. Ross shoots 3’s is his major weapon, but needs to shoot them more consistently, even though when he is on he cannot be stopped. 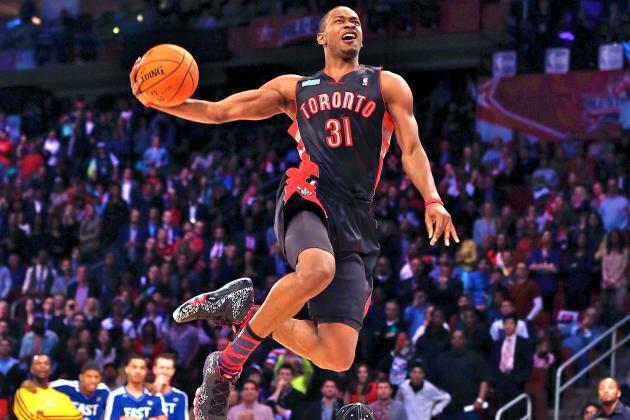 Ross brings excitement to Toronto fans with his vicious dunks. Also, Ross wanted to stay in Tronto with his recent sayings “would be an honor to receive an extension”. Previous Post Where Will Skip Schumaker Land If Bought Out?